OnePlus has been selling some of the world’s best Android smartphones at pretty much unbeatable prices for several years now, but until today, the 6T wasn’t shaping up as the greatest “flagship killer” out there. That’s because the increasingly ambitious company may need to jack up the price of its one and only device to be available this holiday season while ditching the good old fashioned 3.5 mm audio port. 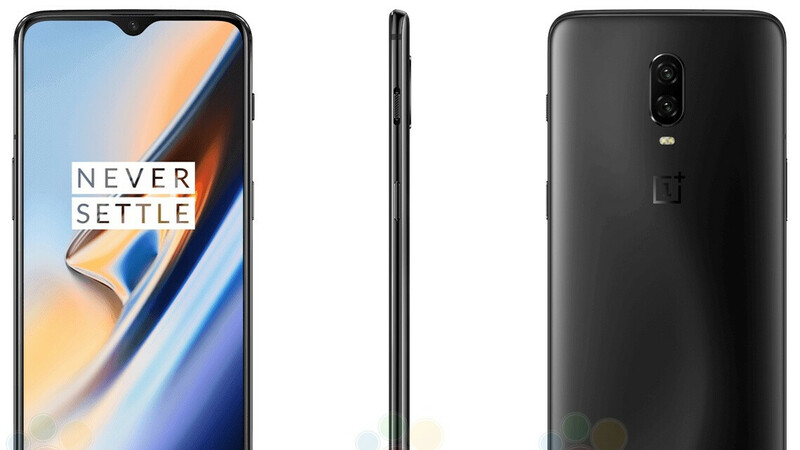 But the latest OnePlus 6T rumor making the rounds courtesy of “multiple different industry sources” quoted by lead PCMag mobile analyst Sascha Segan sounds like a potential game changer. That’s right, if these “multiple sources” prove accurate, the unlocked OnePlus 6T could come with LTE Band 13 compatibility, meaning you’ll be able to buy the thing from its manufacturer, then take it to Verizon for activation. That all still depends on the carrier’s notoriously rigorous certification process, though, which is reportedly not finished yet. If the OP6T does end up featuring LTE Band 13 support without Verizon’s proper certification, major compatibility issues could arise down the line even if the phone starts off working just fine on America’s largest wireless network. In other words, maybe don’t get too excited just yet. And under no circumstances should you expect to see the OnePlus 6T in Verizon stores in addition to T-Mobile shops. If anything big is in the works, it’s for the phone’s unlocked variant. But this would still be a big, big deal for a small company with a worldwide cult following, mainstream presence in markets like India, and near-total US irrelevance. None of the company's domestic rivals can even dare to dream of an official carriage deal with T-Mobile and compatibility with Verizon right now, as the biggest of them all is effectively banned from major US networks. currently have an essential on verizon. I'm not missing anything. This would be amazing but will probably not happen at all. I mean, I guess I understand that Verizon is reliable and all...but I just could never justify paying their rates. What is actually a big deal is - that if there is no headphone jack support, there will be no my support. When all phones get rid of it what would you do then? Go back to using portable audio players for music. What DAC did they put in the One Plus 6T? Oh wait - they didn't. Adding Huawei and OnePlus will only take away from Samsung’s fan base. As you seen exclusively sold devices does nothing to branding and long term sales of a product. So this is an "official" rumor? Based on the title this is fact. But based on the article its a possibility. Congratulations Adrian, you have officially confused everybody, or at least that's what I've heard.